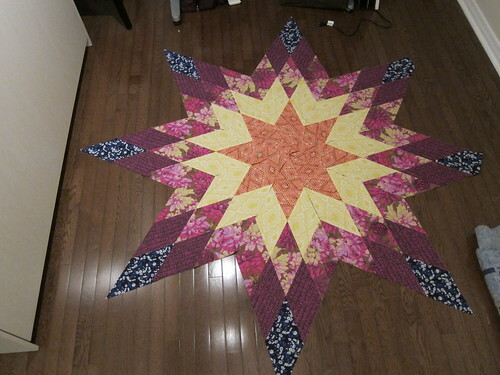 I've been slowly working away on my Lone Star Quilt behind the scenes. I've managed to finish making all eight of the star blades. 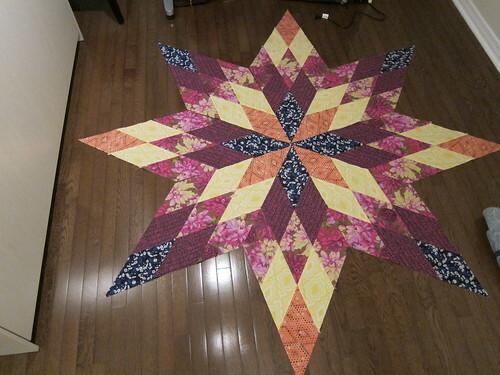 Now comes the part where I need to decide on a layout (excuse the moving blanket and general chaos in these photos. We've been painting, packing and cleaning for the last three weeks, trying to get our condo ready to list). 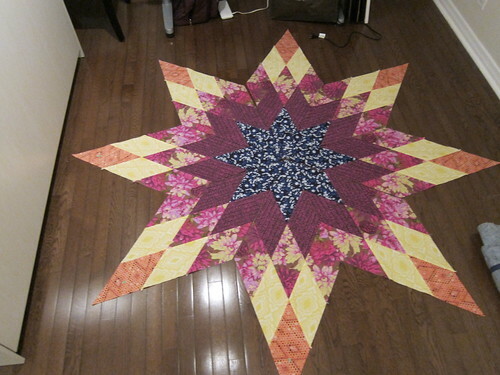 Lastly, is the light center layout. I'm really amazed at how much the relationship between the fabric changes as I play with these layout options. I've been mostly partial to the second and third options but I need to decide if I'm ever going to make any progress with this one. I absolutely love the third option. I even said WOW out loud when I scrolled down and saw the picture. Beautiful! I also love the third option best! I'm a fan of the light center... it's quite dramatic!